As a Lion Air crew fought to control their diving Boeing 737 Max 8, they got help from an unexpected source - an off-duty pilot who happened to be riding in the cockpit. That pilot, seated in the cockpit jumpseat, correctly diagnosed the problem and told the crew how to disable a malfunctioning flight-control system and save the plane, according to two people familiar with Indonesia's investigation into the crash last October that killed all 189 people on board. The next day, when a different crew faced what investigators said was an identical malfunction, the jetliner plummeted into the Java Sea. The previously undisclosed detail on the earlier Lion Air flight represents a new clue in the mystery of how some 737 Max pilots faced with the malfunction have been able to avert disaster while the others lost control of their planes and crashed. The presence of a third pilot in the cockpit wasn't contained in Indonesia's National Transportation Safety Committee's report. The so-called dead-head pilot on the earlier flight from Bali to Jakarta told the crew to cut power to the motor driving the nose down, according to the people familiar, part of a checklist all pilots are required to memorise. The Indonesia safety committee report said the plane had had multiple failures on previous flights and hadn't been properly repaired. The safety system, which is designed to keep planes from climbing too steeply and stalling, has come under scrutiny by investigators of the crash as well as the Ethiopian Airlines disaster that killed 157 people on March 10. 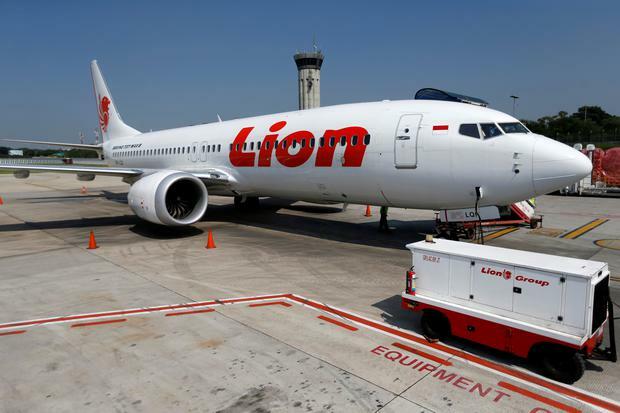 A malfunctioning sensor is believed to have tricked the Lion Air plane's computers into thinking it needed to automatically bring the nose down to avoid a stall. Boeing's 737 Max has been grounded by authorities around the world. In the wake of the two accidents, questions have emerged about how Boeing's design of the new 737 model were approved. The US Transportation Department's inspector general is conducting a review of how the plane was certified to fly and a grand jury under the US Justice Department is also seeking records in a possible criminal probe of the plane's certification.